So. Youa��ve decided that you want to learn a language. But the big question is: which is the best language to learn? Maybe you feel you should have a go at reviving that GCSE level French? Or take up German, because your boss speaks it? 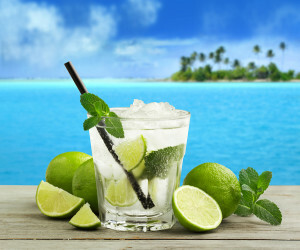 Or maybe start learning Brazilian Portuguese, based on the not so insignificant fact that you just love caipirinhas? If you dona��t already have a fixed idea about your choice then take a look at our top 5 considerations when choosing which language to learn. 1. Which language(s) do you speak already? This one is key in terms of how easy you will find learning the language and how long it will take you. If you are already fluent in a Latin language then picking up another Latin language may lead to some confusion and errors over similar words, but it will also be a lot easier than learning Chinese or Arabic, for example. Similarly, if you already speak Arabic then Farsi, Urdu, Hebrew or Kurdish are going to be more straight forward for you. For most English native speakers knowing a second language is not common (in a recent survey 62% of the British population only speaks English), therefore the easiest languages to start with are the Romance languages such as Spanish, Italian and French. Dutch is also structurally and syntactically familiar for English speakers. 2. Which cultures actually interest you? In order to successfully learn a language you need to be interested in the people who speak it, the countries where is it spoken, and the cultures of those countries. To learn a language you need to engage with the language; the TV, the literature, the music and the people. It is also a huge help if you are able to travel to the country of the language and really put what you learn into practice. If you dona��t like the culture, the food, the people, etc then you probably shouldna��t bother learning the language. 3. How much effort are you willing to put in? Learning a language and speaking it well is a life-long commitment. You will never know all the words there are to know, not in your first language and most definitely not in your second or third. However, it is more than possible to achieve a level of fluency in which you can communicate effectively and be proud of your achievements. This will be determined by the amount of effort you are willing to commit to learning the language (also connected to point 1). As a native English speaker, generally speaking, ita��s going to take you more blood, sweat and tears to reach intermediately level Thai than it is to reach intermediate level Portuguese. 4. Will you have the chance to practise in your current situation? Getting good (or even getting better) at a foreign language largely depends on how much you practise and the opportunities that are available to practise. If, for example, you live in London, there will never be any shortage of people to meet and places to go where you can practise your chosen language. Whether ita��s a salsa club or China town you can always find someonea��s ear to bend with your new linguistic skills. If however, you dona��t live in a major city then you will be more dependent on the internet for practising your skills. There are always chances to practise but ita��s worth considering what these are when choosing which language to study. 5. Are you going to use it in the future? If you are going to learn a language then really, you want to be able to use it. Will you use this language in your job or place of work? Will you travel to the country or countries the language is spoken in? Do you already have friends that speak this language? Knowing that the language will be of use to you in the future is a great motivating factor and plays an important role when making your decision. For more information about what language you should learn and for any questions you may have regarding language learning please contact the Cactus Team. or visit our homepage. Our January evening language courses start 19th January 2016.